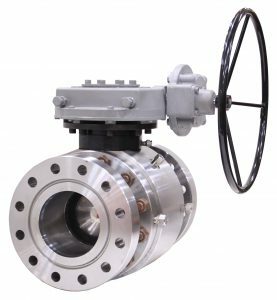 ValvTechnologies’ TrunTech® valve is designed to address the critical demands of the upstream and midstream oil and gas industries, including but not limited to high-integrity pressure protection systems, emergency shutdown, manual isolation, injection, gas transmission and storage applications. Founded in 1987 and headquartered in Houston, Texas, ValvTechnologies is the leading manufacturer of zero-leakage, severe service isolation valve solutions. Employing more than 500 people worldwide, our offices are located in the United Kingdom, Mainland Europe, China, Middle East, India, Australia and South America. In addition, ValvTechnologies partners with stocking distributors and independent representatives to service customers around the world. To find out more about the products and services offered or to locate a representative, visit our website at www.valv.com.